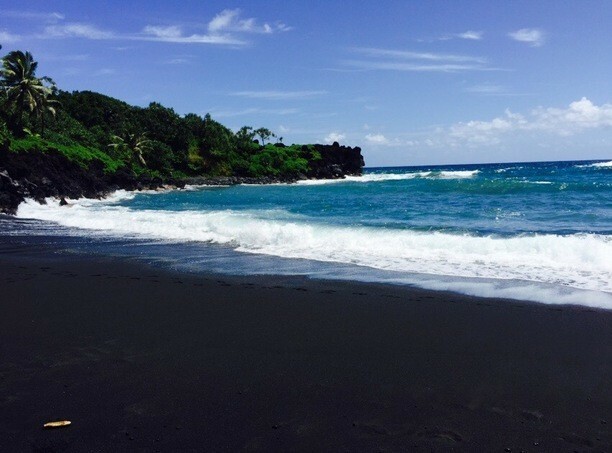 The Waianapanapa Black sand Beach is active. Created by volcanic forces. 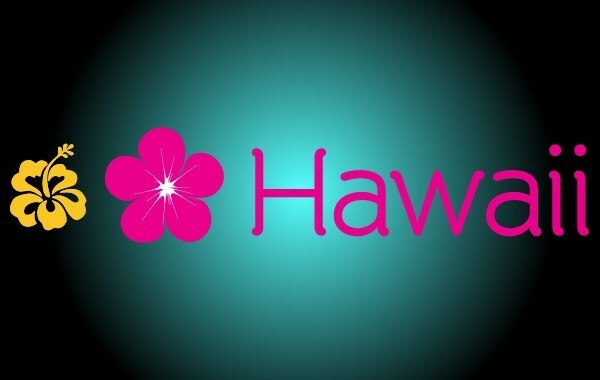 It is a primary coast. It has been sinking relative to sea level since its existence. It is a emergent coast. Black sand is on the beach. The rock type is basalt. 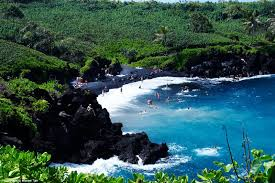 The beach was created by a lava flow several hundred years ago. 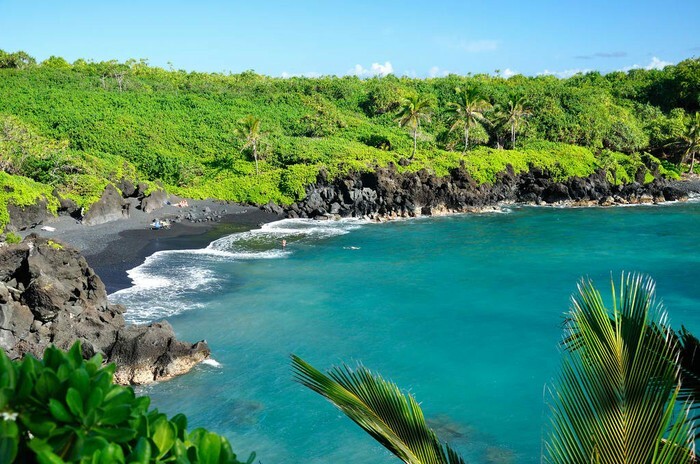 The Waianapanapa Black sand beach is known for tropical flowers, sea caves, Black lava cliffs. Waves usually are rough with rip currents. An stretch of salt water separated from the sea by a low sandbank or coral reef. Consisting of, containing, or abounding in rock or rocks.